Mould level fluctuation (MLF) is one of the main reasons for surface defects in continuously cast slabs. In these study first, large scale mould level fluctuations has been categorized in three different cases based on actual plant data. Moreover, theoretical formulation has been investigated to better understand the underlying physics of flow. Next, exploratory data analysis is used for preliminary investigation into the phenomenon based on actual plant data. Finally, different classification algorithms were used to classify non-mould level fluctuation cases from MLF cases for two different scenarios- one where all mould level fluctuation cases are considered and in another where only a particular case of mould level fluctuation is considered. Classification algorithm such as recursive partitioning, random forest etc. has been used to identify different casting parameters affecting the phenomenon of mould level fluctuation. 70 % of the dataset used as training dataset and rest 30 % as the testing dataset. Prediction accuracy of these different classification algorithms along with an ensemble model has been compared on a completely unseen test set. Ladle change operation and superheat temperature has been identified as process parameters influencing the phenomenon of large scale mould level fluctuations. The authors are grateful to the TSCR Caster Automation, Electrical and Operations team, for their support and expert guidance on the subject matter which greatly assisted in this study. de Beer, P. G., & Craig, K. J. (2008). Continuous cast width control using a data mining approach. Ironmaking & Steelmaking, 35(3), 213–220. doi: 10.1179/030192307X233052. Javurek, M. (2008). Lingotamento Continuo-Continuous Casting.png. https://commons.wikimedia.org/wiki/File:Lingotamento_Continuo-Continuous_Casting.png. Kant, S., Jha, P. K., & Kumar, P. (2013). Investigation of effect of dam on intermixing during ladle changeover in six strand billet caster tundish. Ironmaking & Steelmaking. http://www.tandfonline.com/doi/abs/10.1179/1743281211Y.0000000007#.VtQQ6Pl97cc. Accessed 29 February 2016. Nastasi, G., Colla, V., Cateni, S., & Campigli, S. (2016). Implementation and comparison of algorithms for multi-objective optimization based on genetic algorithms applied to the management of an automated warehouse. 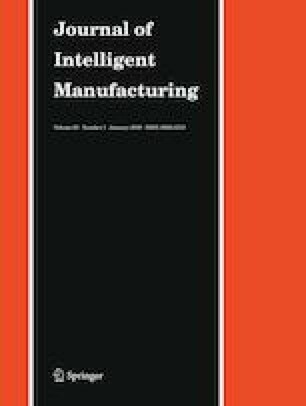 Journal of Intelligent Manufacturing. doi: 10.1007/s10845-016-1198-x. Shaver, J. W. (2002). Measurement of metal/slag interfacial phenomena in thin slab caster. Retrieved from http://ccc.illinois.edu/PDFFiles/Theses/2002_SHAVER_Joseph_MSThesis.pdf. Thomas, B. G. (2001). Continuous casting of steel. Modelling for Casting and Solidification Processing. doi: 10.1049/sqj.1963.0042. Thomas, B. G. (2013). Fluid flow in the mold (pp. 1–41). http://citeseerx.ist.psu.edu/viewdoc/download?doi=10.1.1.503.5487&rep=rep1&type=pdf.